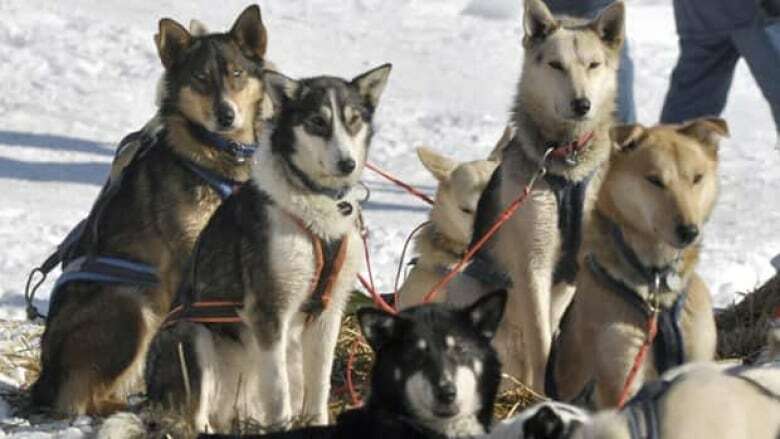 The Quebec government has acknowledged the negative effects on Inuit society of a mass slaughter of sled dogs in the province's far north in the 1950s and 1960s. Premier Jean Charest and his native affairs minister signed an agreement on Monday to that effect in Kangiqsualujjuaq in the presence of Pita Aatami, president of the Makivik, which promotes aboriginal development and culture. The provincial government also pledged $3 million to support the Inuit in the protection and promotion of their culture. The resolution of the thorny issue follows a report by Judge Jean-Jacques Croteau last year. He had been named by Quebec and Makivik to investigate the events surrounding the killing of hundreds of dogs in Nunavik by police in the 1950s and 1960s. Officials apparently said at the time that the killings were carried out in the interest of public safety. Recognition of the incident by the Quebec government was one of the recommendations of Croteau's report. "The Quebec government recognizes that Inuit society has been affected by the sled dog slaughter," Charest said in a statement. "We hope that this agreement signed today demonstrates the desire of Quebec to work hand in hand with the Inuit." The sled dog massacre was also investigated by a House of Commons committee in 2006 and by the RCMP during the same period. The RCMP investigation cleared the federal force of any wrongdoing. The Inuit have maintained that the federal government carried out a systematic slaughter of the dogs to apparently get aboriginals off the land and into homes and federal programs. Aatami said he was pleased with the agreement. "Today's agreement is very important for us," he said. "It shows the government's sincerity toward its relationship with the Inuit. We can now face the future with greater serenity."